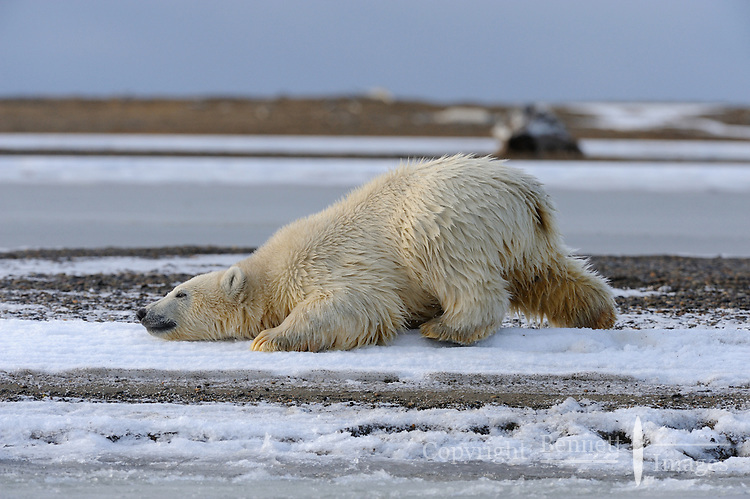 A polar bear cub scratches an itch along the shoreline of a barrier island outside Kaktovik, Alaska. Every fall, polar bears gather near the community, on the northern edge of ANWR, waiting for the Arctic Ocean to freeze. The bears have become a symbol of global warming.